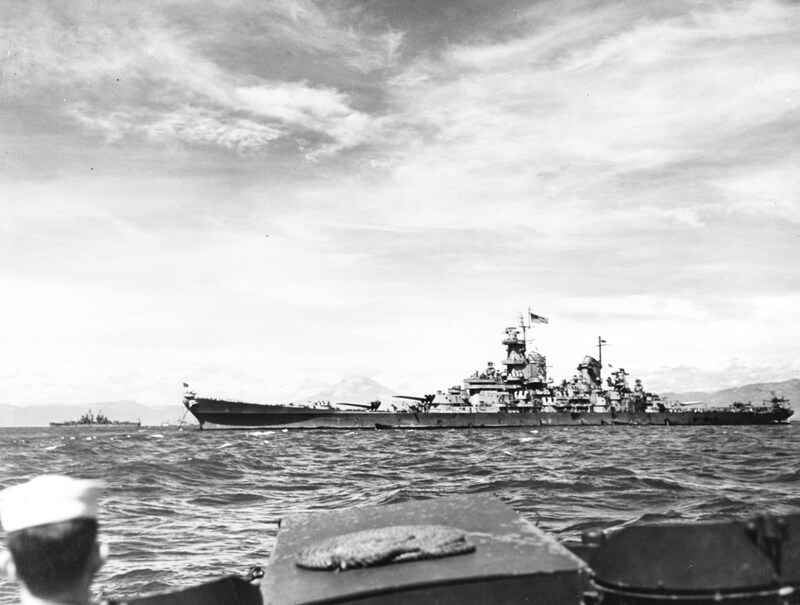 » Battleship USS Missouri in Sagami Wan, Japan, 30 Aug 1945. Note Mount Fuji, Missouri flying Admiral William Halsey’s four-star flag at the after mast, and the US flag at the unusual location on the main mast. This photograph has been scaled down; full resolution photograph is available here (1,189 by 899 pixels).